it is monday morning and i suddenly realized that this blogpost posted without my finishing it. there is so much i wanted to say, too much. my heart breaks, thinking of this world you are inheriting. and my heart soars with wishes for you. both of these. and so, rather than speaking of vast and chaotic brokenness as well as hopeful and inspired possibility, i’ll take it as a serendipitous sign to let desiderata say it for me. this really sums it up, better than i could. it IS still a beautiful world. in the middle of glowing aspens or the front row of the ballgame. in the high mountains or on the shore of boston harbor. anywhere you are. anywhere you go. you bring it – beauty – and you are standing in it. remember that. Categories: kerri sherwood, life, merely a thought monday, Uncategorized | Tags: a letter from mom, beautiful, beauty, bring beauty, brokenness, david robinson, davidrobinsoncreative.com, desiderata, family, hope, itunes: kerri sherwood, kerri sherwood, kerrianddavid.com, kerrianddavid.com/the-melange, kerrisherwood.com, life, love, max ehrmann, merely a thought monday, motherhood, my heart, possibility, relationship, remember, serendipitous, society6.com/davidrobinson, society6.com/kerrisherwood, stand in beauty, story, studio melange, the boy, the girl, the melange, the world | Permalink. 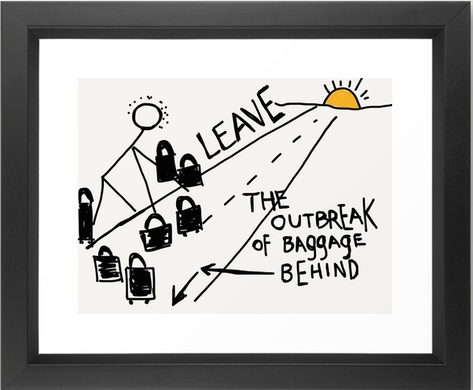 leave the outbreak of baggage behind. whoa. 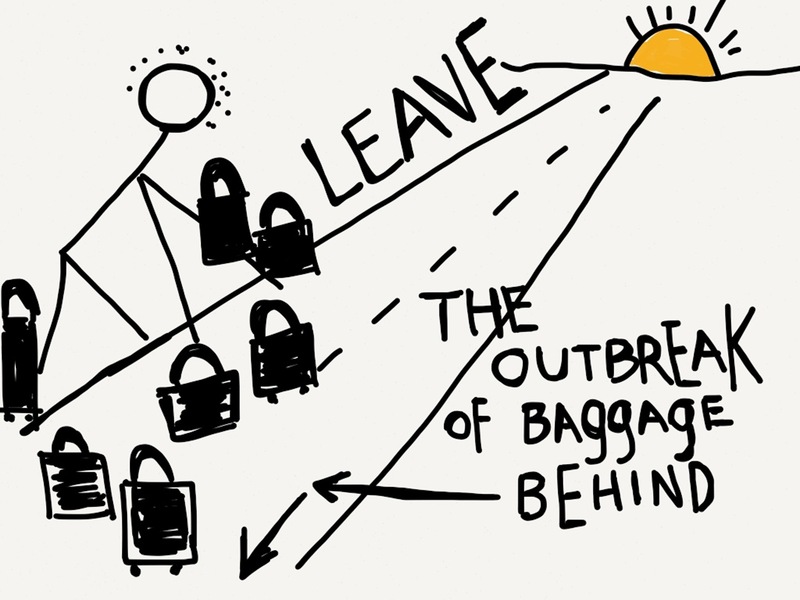 the outbreak of baggage. one day it occurred to me that this outbreak of baggage precludes us from moving into Next. it traps us in our own past, our own history – good and bad, our own unmet expectations and disappointments. then we can focus instead of what is truly ahead of us, the potential, the rise of the sun. Categories: kerrisherwood, life, prints, story | Tags: baggage, beginnings, body, freedom, health, kerrisherwood, life, mind, mind body spirit, outbreak, past, possibilities, possibility, potential, prints for humans, spirit, stories, story, sunrise, trapped, wholeness | Permalink.